We commence our business as the leading organization of the best quality Canvas Painter Drop Cloth. We are one of the reliable companies in this domain and are into offering Canvas Drop Cloth. Heavy weight, super heavy weight and ultra heavy weight canvas drop cloth. 100% cotton cloth is washable, reusable and useful for numerous indoor and outdoor projects, such as painting, wallpapering, remodeling, landscaping, etc. Absorbs spills and splatters. Hemmed edges help prevent fraying. From lightweight to ultra-heavy weight, we carries top quality canvas drop cloths to protect surfaces while painting at the jobsite. All edges folded and double-stitched with rot-resistant thread. Usage: To cover the material, lay on rough ground as an carpet . 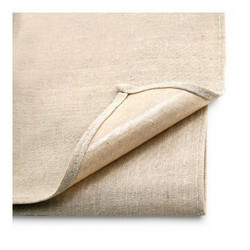 We are engaged in offering a quality approved range of Canvas Drop Cloth. 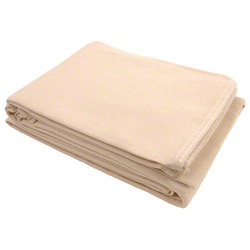 Canvas drop cloth paint repellant Drop Cloth is made of heavy duty cotton canvas fabric. Protects and covers large area without being cumbersome, stays in place better than paper or plastic sheeting. It repels the messiest paint spills. We are engaged in offering to our customer a wide range of canvas drop cloth.